A 23-year-old admission seeker, Felix Olowookere, has been stabbed to death by suspected cultists believed to be students of Adekunle Ajasin University, Akungba-Akoko (AAUA). Based on the accounts offered by the father of the deceased, Mr. Olowookere, he noted that the incident occurred when the family was away for Sunday service to thank God for the successful wedding ceremony of their daughter on Saturday. 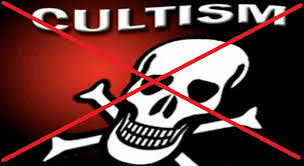 He said that his son, was killed by one of the students who was owing the deceased N3,500 in connivance with some cultists. Following the accounts by the father, the deceased, was reportedly stabbed with a broken bottle, and he was also said to be seeking admission into Adekunle Ajasin University, Akungba Akoko before his untimely death.